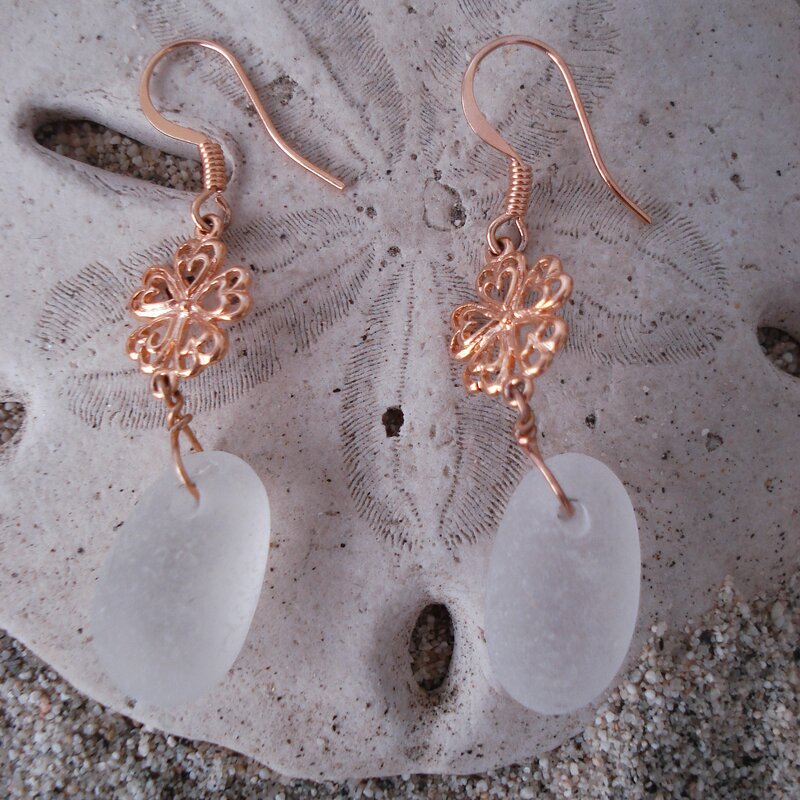 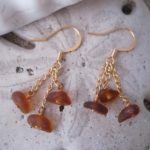 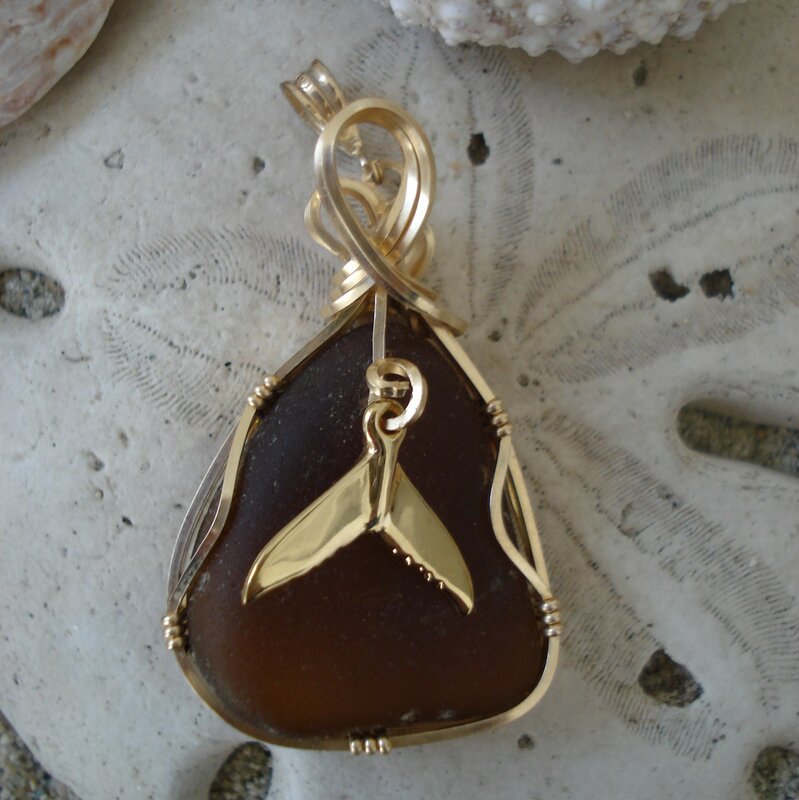 Root beer brown sea glass dangle on 14kt gold filled wires with 14kt gold filled French hooks. 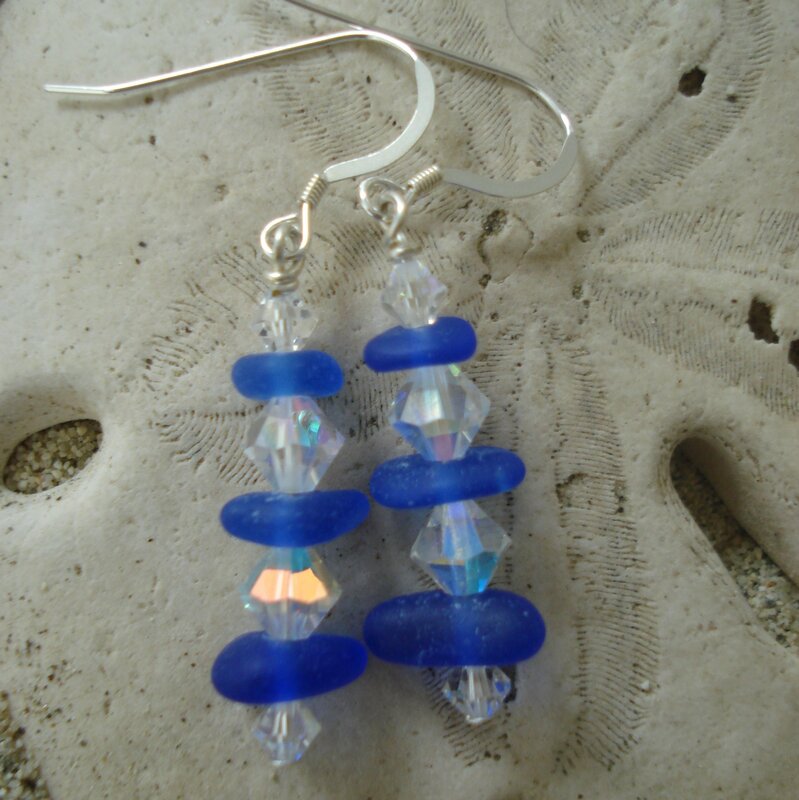 Longest dangle about 7/8″. 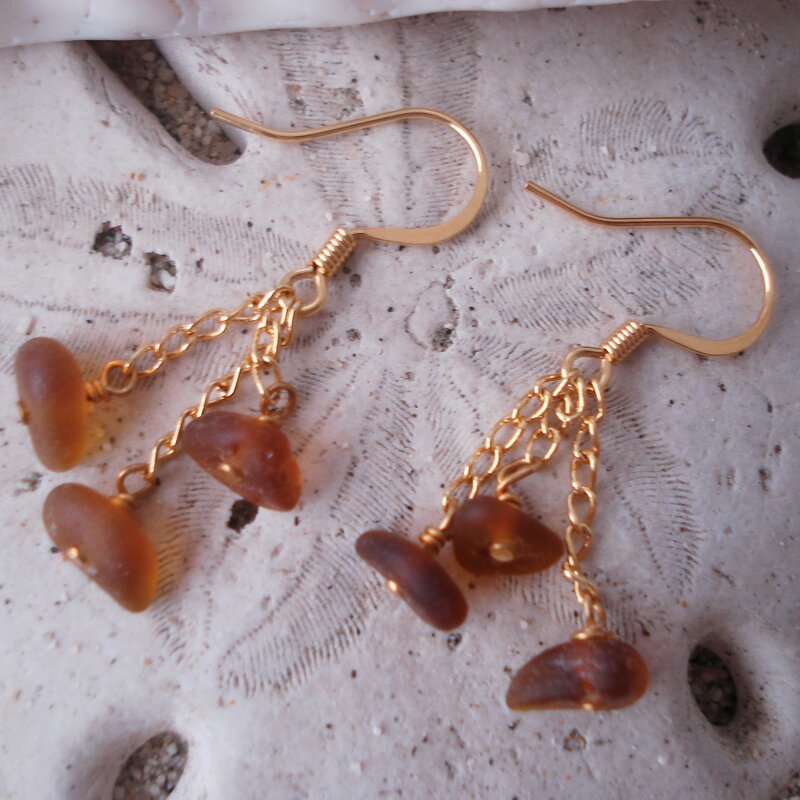 These pretty earrings are delicate, light weight and easy to wear. 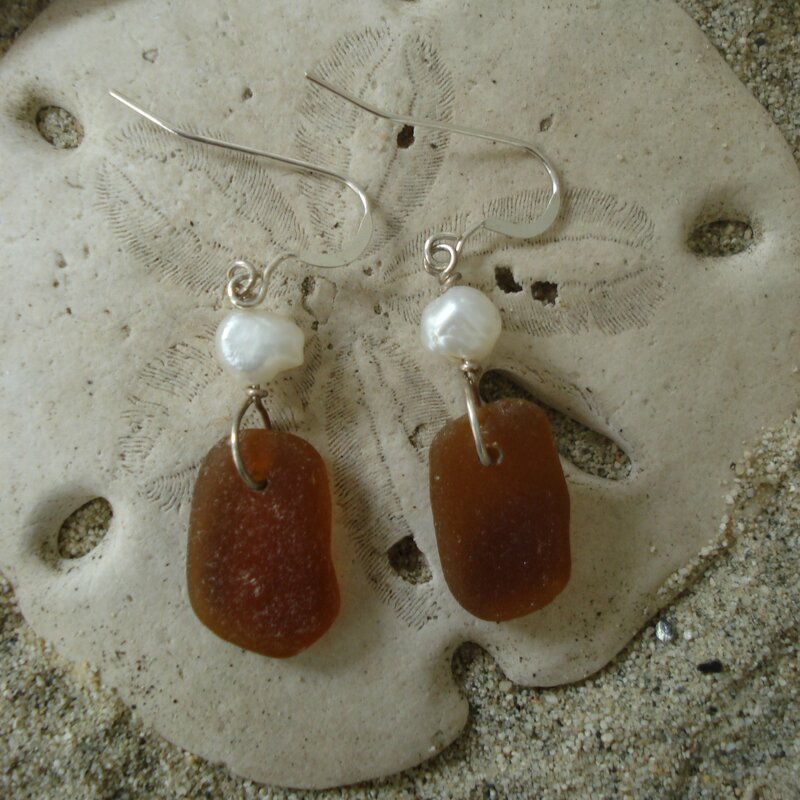 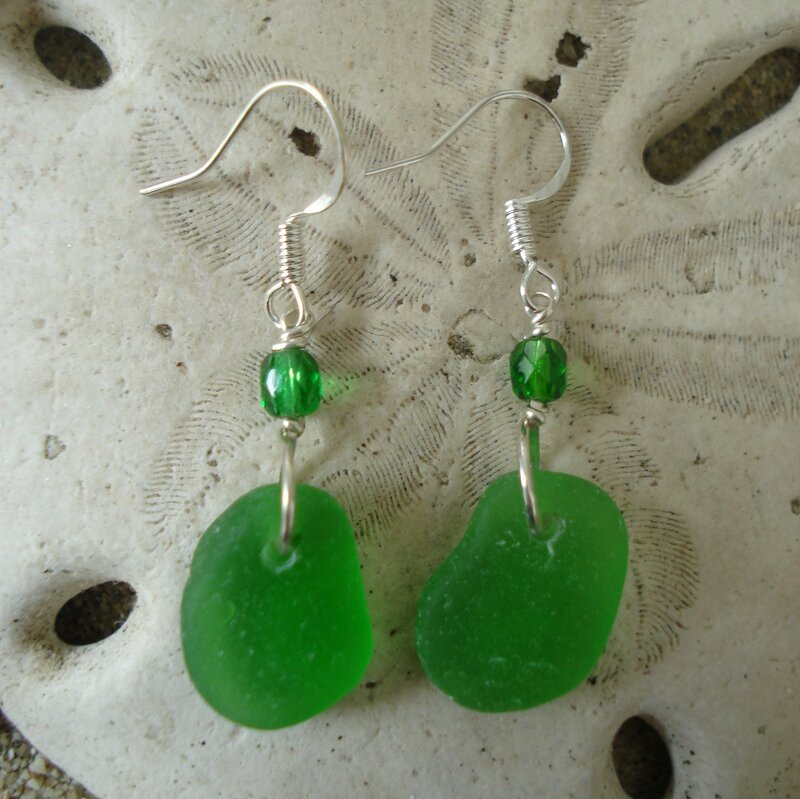 The color of the sea glass goes with everything and you’ll find yourself wearing these earrings all the time this summer.